The ready-to-fly (RTF) DJI Phantom 2 Vision Plus is the drone aviators dream come true. Extremely high quality, DJI has revamped the quadcopter and delivered an entirely new solution for aerial photography and video (APV).The only assembly necessary is to screw on the four propeller blades which are packed unattached. Open the box, charge the batteries, screw on the propeller blades, and that’s it. APV enthusiasts will appreciate the amazingly smooth professional quality and durability of this new aircraft, plus the high-grade vivid photos and video footage it can produce. DJI took their basic design of a quad and seemingly perfected it. The motors have been tweaked to produce more power, and the four two-bladed propellers are now energy efficient so they don’t drain the battery.Thanks to the implementation of a 3-axis gimbal, the camera now has added stability so you can capture the smoothest and virtually shake-free video possible. The camera is mounted below the gimbal which uses four rubber mounts that absorb vibration before it extends to the camera.It weighs just over nine pounds, and measures 17 x 8.1 x 12.5 inches. Two U-shaped legs on either side of the camera allow for soft landings since they each have padded feet.There is a micro SD card slot for the included 4 GB memory card to store all of your footage, and a micro USB plug port to download it to your computer. The flight time is an impressive 25 minutes with a full battery. The lithium battery (which is included in the package) has been upgraded to a 5,200 mAh and is easily replaceable.It can reach speeds up to 35 mph and can fly up to 900 feet in altitude, so flying it outside is awesome. With its high-tech camera and amazing altitude, it can capture some really majestic views. There are two ways to fly this drone. Manually or autonomously. Fly it manually using the joysticks to control its movements and it will go where you tell it. Or program a pre-determined flight path from your smart phone. The drone uses Ground Station Support technology which gives you up to 16 separate points that you can map out for the drone to use as its path. As it flies using those pre-set points, you can just focus on shooting video or taking photo still frames. Be careful when powering off the quadcopter. This is done by pointing both joysticks inward and down. If you do this while flying, the drone will turn off and drop out of the sky like a rock. Depending on how high it is at that moment, it could sustain some detrimental damage. The camera is attached to the underbelly of the drone via the 3-axis gimbal in the factory, so no installation is needed. It’s a 1080p video camera offering Wi-Fi first-person-view (FPV). Wi-Fi means that you can use your iOS or Android device to tap into the drone’s signal and get a live stream of video straight to your smart phone or tablet.With an imbedded global positioning system (GPS), you can lock into a position and hover with impressive stability. It’s easy to find a position, lock into it, and take some beautiful videos or photo stills.Included is a 4GB micro SD camera card. You can shoot videos in beautiful HD at 1080p with 30 frames per second (FPS), or switch to 720p at 60 FPS. The camera can tilt up to a whopping 90 degrees. Still photos are in jpeg and Adobe DNG raw file formats at 14 megapixels. It even takes slow motion shots. Since there is a removable SD card, you can tweak all of your photos on your home computer. If you want to swap it out with a card with more memory, go for it. For More models with HD Cameras see our list of the best drones with cameras. If you’ve ever played video games, then you can figure out the remote control for the Phantom Vision 2 Plus. It’s that easy. It has two joysticks for each thumb. There’s also a gimbal control dial on the upper left side that controls the camera movement.The left joystick controls the altitude and rotation – basically, which way the drone is facing and how high it is. The right stick controls the pitch and roll – moving the aircraft forward, backwards, left, and right.At the top of the controller is where the screen goes, a.k.a, your smart phone. 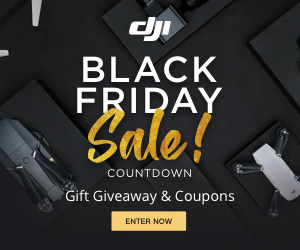 Install the free app, snap it in the clamps, and you can see everything that the drone is seeing live, in real-time, and in brilliant color.From your screen, start and stop recording videos, take photos, and control the camera tilt. But that’s not all. Distance, speed, battery level, altitude and other flight data is all displayed on the screen as well.The controller has its own built-in rechargeable battery. Use the Wi-Fi extender to increase the range of your flight boundaries. It creates its own local network that syncs with your smart phone. A trainer port has been installed in the controller that allows it to be connected to your home computer so you can practice flying with some simulated flights. Extremely helpful if you’re a beginner and want to become familiar with your aircraft before crashing it. When you have flown the drone down to 20 percent remaining battery, red flashing LED indicator lights will come on. There will be approximately five minutes of flying left before the battery dies.It’s fully equipped with radar positioning and the Return To Home (RTH) feature. When battery life reaches the remaining five minutes, the RTH is automatically activated. The drone will fly back to the spot where the initial flight started (actually within a few feet of it in case that’s where the pilot is still standing).The radar positioning system is a wondrous tool for preventing your drone from going rogue. It knows what the quadcopter’s position is in relation to the remote control. If it goes out of range of the pilot, the remote automatically triggers the RTH feature. Check out a quick list of good and bad features of the Phantom 2 Vision Plus. There’s nothing new about DJI making quadcopters, but what is new is the Phantom 2 Vision Plus and its ability to produce top-notch videos and photos. Plus it’s just more fun. The motors are stronger, the flight time is longer, and the camera is more stable.This gadget has a lot of power. It flies fast and high and far away. If you’re an experienced drone flyer or an aspiring film maker, this aircraft can provide loads of fun while putting out some intensely crystal clear photos and smooth streaming videos.